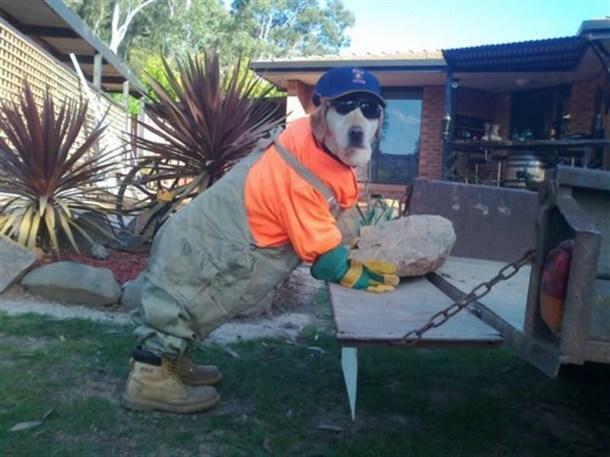 If Dogs Did Human Jobs, What Breeds Would Excel At Which Jobs? 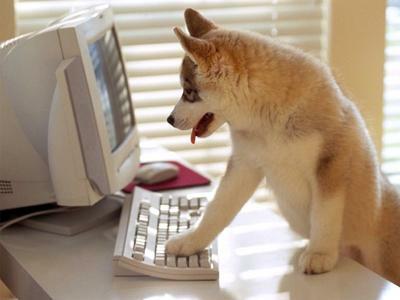 Imagine a world where dogs did human jobs. Obviously some dog breeds would be better at certain things than others. 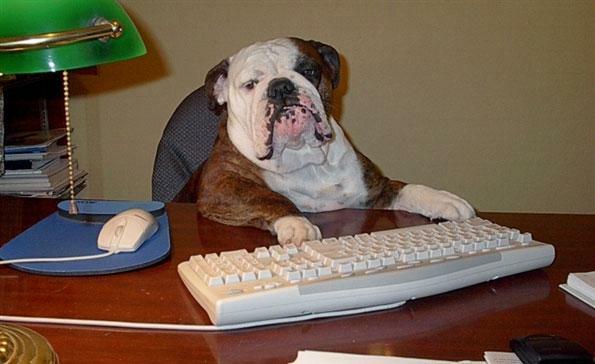 We’ve put together our list of what breeds we think would do the best at certain jobs. 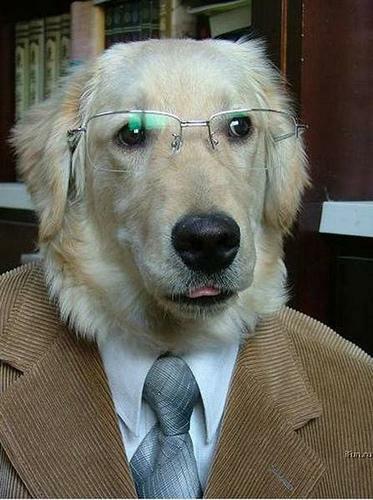 Golden’s would make great lawyers. Why you ask? They can sniff out when someone is lying, are very attuned to people’s emotions and actions, and want nothing but the truth. This lawyer definitely looks the part, and looks ready to clear you of any charges. We do believe dogs would only make good lawyers for those that are innocent, because they really don’t want somebody to get away with a lie. Being a software engineer would be a great job. A software engineer studies the application of engineering to the design, development, and maintenance of software. This job would be perfect for the smart breeds like the Border Collie that would love to sniff out the problems and find solutions/ways to make the product better. Labs would make the best receptionists. They’re responsible, great with people, and reliable. Need a conference call set up? No problem. Need some paper shredded? Done. 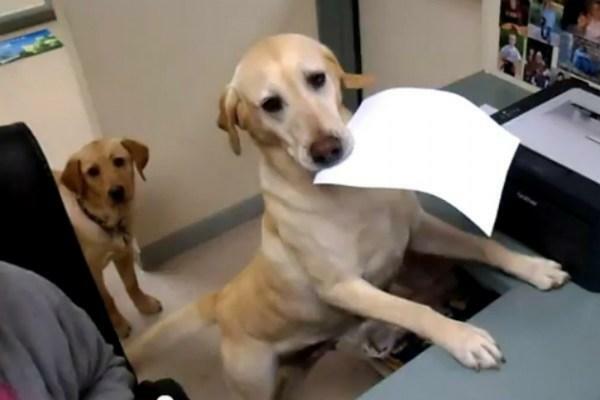 Best of all, these guys are great at retrieving the mail and they’re happy to do it as well. Stocks are a big part of today’s economy. You need a trader that has your money’s best interest in mind over his commission. For this reasons a Bulldog would be a great trader. He’s smart and reliable, but will always take the right risk for the most reward. Best part is his commission only needs to be paid in treats! 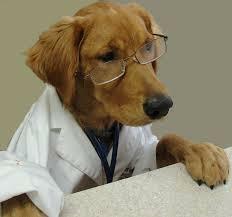 We think the Golden Retriever would make the best doctor (also called dogter). Why? Because they have one of the biggest hearts, leading them to want to give aid to others and work to cure all diseases and illnesses. They’re smart, caring, and have some of the softest fur around, which would definitely help calm patients. You’re looking for somebody to fit into small places to fix your electric problems, or even someone that can sniff out your gas leaks. 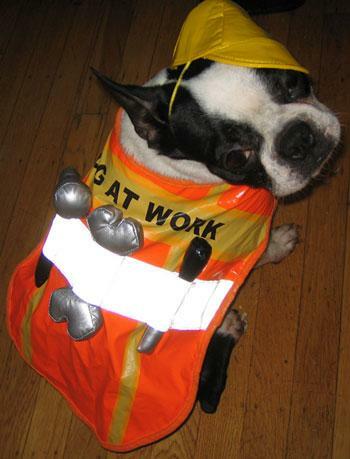 We think Boston’s would be great at this job. They’re small enough to get through tough spots to fix electrical problems, and already have noses that can sniff out things like a gas leak and let you know what you need to fix. For all your gas/electrician needs definitely call these guys! Looking to grab yourself a challenging degree and need the right professor to get you through classes? 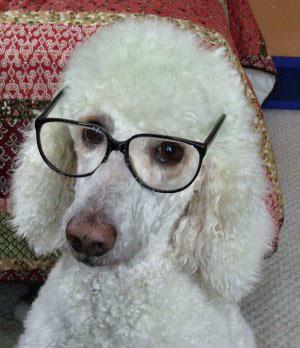 We think the poodle would be the best professor for you. They’re the second most intelligent dog breed and know a quite a bit that they’d be willing to share with you. Sure you’ll graduate with a degree from Dog University, but hey, a degree is a degree right? This one is easy, as GSD’s are already in security jobs all around the world. They’re strong, smart, and incredibly obedient. 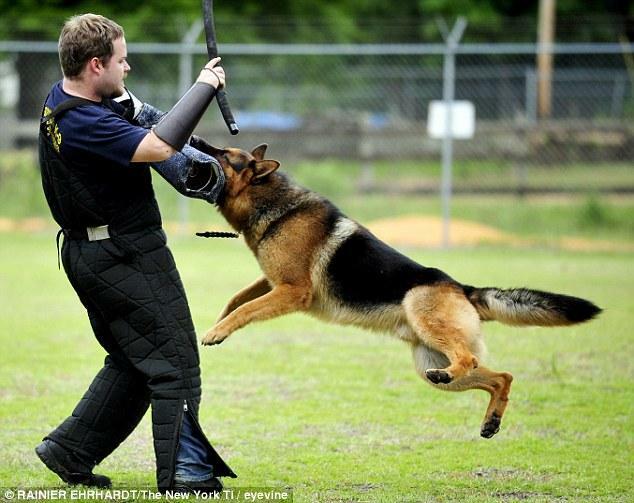 I would definitely want a GSD as my partner while out on security jobs.